Again, there are many VNC clients, of which “VNCViewer” (http://www.realvnc.com) is available for most platforms and I have found it to work well with TightVNC. Enter the IP address of your Raspberry Pi, append :1 (to indicate the port) and click on “Connect”. You will then get a warning message. Just click 'Continue'. The following window will then popup for you to enter your password (“raspberr”). Finally, the VNC window itself should appear. You will be able to use the mouse and do everything as if you were using the Pi's keyboard mouse and monitor, except through your other computer. As with SSH, since this is working over your network, your Pi could be situated anywhere, as long as it is connected to your network. From the Finder, select Go -> Connect to Server… and type vnc://192.168.1.10 (or whatever the IP is) to connect. This method will only work if you have set your Pi to automatically log into the desktop environment. See Lesson 2. Connecting to your Raspberry Pi remotely with VNC is fine as long as your Pi does not reboot. If it does, then you either have to connect with SSH and restart the VNC Server or arrange for the VNC Server to run automatically after the Raspberry Pi reboots. 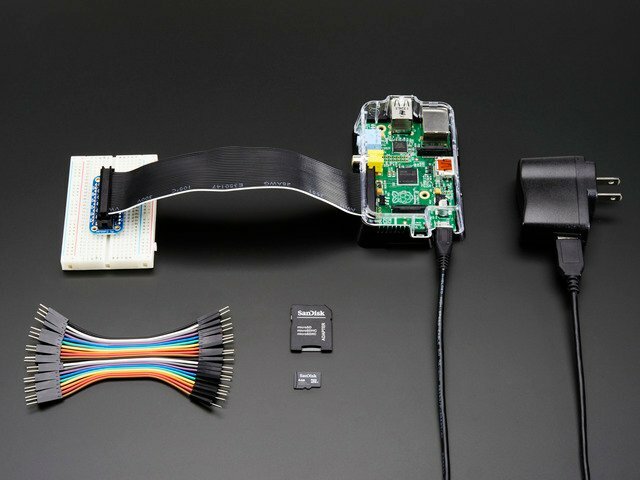 There are several different methods of arranging for some code to be run as the Pi starts. The method described below is probably the easiest to use. You can adapt it to run other commands instead of starting the VNC server. Note the '.' at the start of the folder name. This makes it a hidden folder that will not show up when you type 'ls'. Issue the command below to create a new directory inside .config called 'autostart'. Thats all there is to it. The next time you reboot the VNC server will restart automatically. This guide was first published on Dec 21, 2012. It was last updated on Dec 21, 2012.